Since I got quite a bit of traffic to my previous post about Yogi Surprise I thought I’d continue posting reviews of these awesome monthly boxes. My March Yogi Surprise box arrived yesterday, and I once again absolutely love it! Yogi Surprise is a monthly subscription box, and the cost is $44.95 with free shipping, however right now you can use code YOGIFRIEND to get 20% off for life (this is what I do – it brings the cost per box down to $35.96). The theme this month is “Time to Blossom”, which is just perfect for March! Yogi Surprise ships at the beginning of the month and even though they are in Oregon I usually get my box in MA just two-three days after they send out the shipping notice. Jivana Ayurveda & Yoga Body Butter, 4 oz (MSRP $21) – this stuff is absolutely fantastic! It’s a whipped body butter with a light incredibly pleasant scent. The whipped texture sinks right into the skin and doesn’t leave a greasy residue behind. This is probably one of my favorite Yogi Surprise products to date! Soul Flower Boho Headband (MSRP $16) – this was one of the spoilers from last month, and for some reason I thought it was a bandanna. I was really glad to open my box and find that it’s actually a very soft and wide headband! It’s made in the USA out of 50% organic cotton and 50% polyester from recycled water bottles. I got the Illuminate print which I prefer to the red that was in the spoiler. This will be great for lazy/slouchy days. Andalou Naturals Coconut Milk Firming Mask (MSRP $14.99) – I already tried this out. It’s a “quenching” face mask for dry skin with a light pleasant coconut scent. There is prickly cactus extract which I’m seeing more and more in natural beauty products these days. I felt that it was a fairly light mask, not greasy or oily at all. I’m going to have to use it a couple of times to see how it performs, one time wasn’t quite enough to form a full opinion. Moon Valley Organics Muscle Rub (MSRP $12.99) – another product I was super excited to receive. It’s a fairly thick ointment with arnica, cayenne, habanero that’s supposed to help heal sore muscles. I tried it out on my husband’s sore neck last night, and can say that it has a very mild warming action and smells absolutely delightful. It also comes in the cutest box I have ever seen. The full size tube isn’t huge, but it’s a great thing to have on hand! 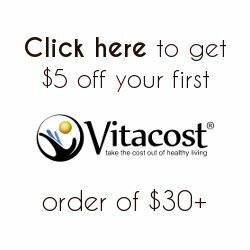 Rhythm Superfoods Broccoli Bites (MSRP $4.59 – less on Vitacost!) – the ingredients list looks great on these, however I haven’t tried them out yet. Always great to receive some healthy(-ier) snacks. Ulimana Coco Nectar Truffles (MSRP $5.39) – I also haven’t tried these yet, but they are made out of certified organic raw ingredients, sweetened with coconut nectar and have only 4g of sugar per truffle (vs 9g in a Godiva truffle!). That comes to a $75 combined value of the products, and since I was able to snag a 20% off code I only pay $35.96 a month for this box. So March brought us another great box from Yogi Surprise! It is my favorite subscription right now, I find the curation to be spot-on every single month. If you liked the contents of the March 2017 box, subscribe to Yogi Surprise now and get 20% off for life with code YOGIFRIEND. Also, for a limited time your first box will include these awesome chakra healing stones from Energy Muse (MSRP $19.99)! Click here to sign up for Yogi Surprise if you think this is a subscription for you. My name is Olga and I'm a laundry nerd, proud Corgi owner, food and wine lover and Champagne-taste-on-a-beer-budget-ista. 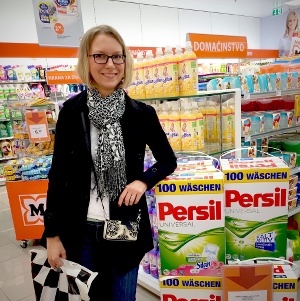 I am now blogging at Olga's Laundry Blog - join me over there! https://cranraspberryblog.wordpress.com/ is a participant in the Amazon Services LLC Associates Program, an affiliate advertising program designed to provide a means for sites to earn advertising fees by advertising and linking to amazon.com.